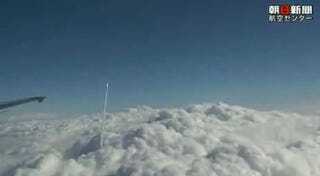 I wouldn't get nervous if I was flying through Chinese air space, and saw a rocket breaking its way through some clouds, just a couple of kilometers away. Nope. Nooooot nervous at all.